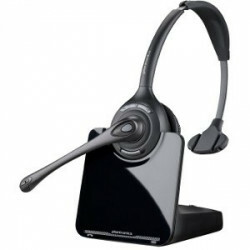 Get a monaural headset for your VoIP phone or legacy telephone at VoIP Supply. 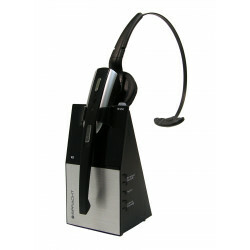 Choose from multiple styles of monaural headsets from today’s leading manufacturers. 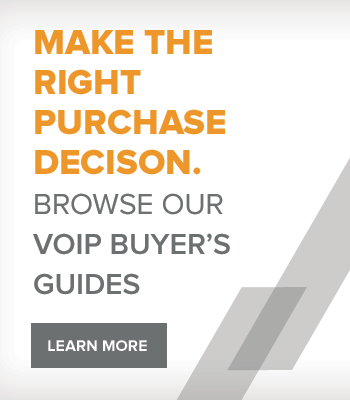 VoIP Supply has hand selected over 30 of the most popular monaural headsets that work with a wide variety of VoIP phones and legacy telephones. All of the monaural headsets we retail come with a standard manufacturer’s warranty and are fully supported by our team of in-house experts. 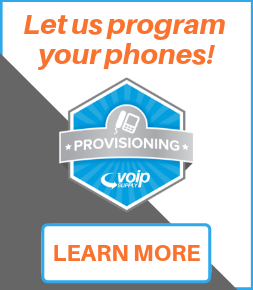 Not sure which VoIP headset goes with your VoIP phone? Download our headset compatibility guide. 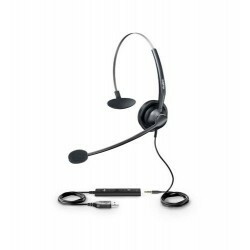 The Yealink YHS33- USB is a headset for professional environments that helps to eliminate background noise while featuring wideband audio technology and HD Voice. 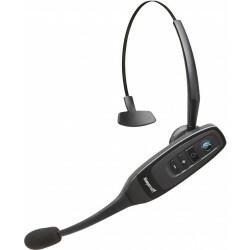 The ZuM DECT 6.0 HeadsetTM allows wireless telephone conversations without the Bluetooth® limitations. Unlike Bluetooth®, the ZuM DECT 6.0 Headset™ operates on the secure DECT 6.0 Protocol which has a range of up to 500 feet, not the Bluetooth® limit 30 feet. The Spracht ZUMRJ9 is a wired headset with a smart cord that makes it compatible with any desktop phone. 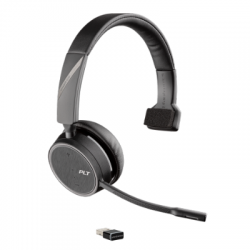 Featuring an RJ9 connector and noise cancellation, the ZUMRJ9 is the headset for any business that is looking for a reliable, universal headset that won't break the bank. 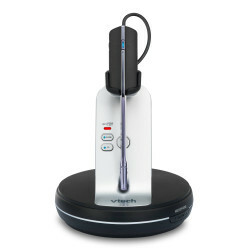 The Vtech VH6210 Convertible Office Wireless Headset gives users the flexibility to not only move around the office as needed, but also to wear the headset as it best suits them, over the ear, over the neck, or over the head. But style and flexibility are not the only great things the VH6210 has to offer. 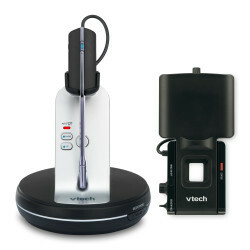 The Vtech VH6211 Convertible Office Wireless Headset gives users the flexibility to not only move around the office as needed but also to answer and end calls directly from the headset with the Vtech lifter kit, which moves the handset up and down automatically so that you don't have to, The VH6211 is a convertible headset, allowing you to wear it over the ear, over the neck, or over the head. But style and flexibility are not the only great things the VH6211 has to offer. 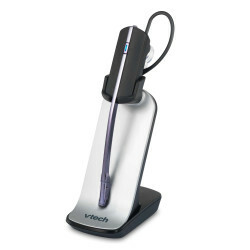 The Vtech VH6212 Convertible Office Wireless Headset with USB Softphone Dongle has been designed for use in environments where a cordless option for telephony needs is most suitable. 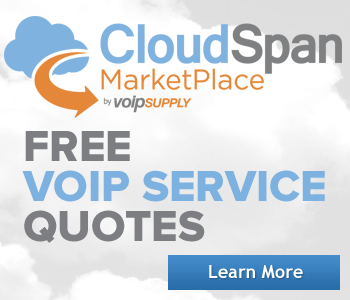 The VH6212 has a range of up to 300 feet in which users can roam free and make and receive clear calls. 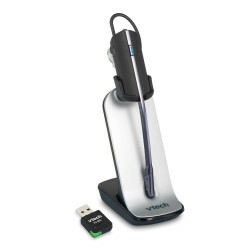 The Vtech VH621 Convertible Office Wireless Headset is an accessory headset that enhances your VTech or Snom DECT system. It features a range of up to 500 feet and wideband audio for life-like calls. The VXI BlueParrott C400-XT Bluetooth Convertible Noise-canceling Headset is a lightweight headset that knocks over 96% of background noise out of your conversations. So you can hear and be heard, clearly, no matter how noisy it gets. 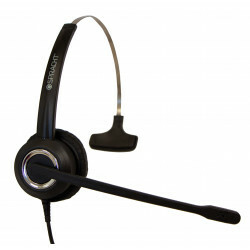 The BlueParrott C400-XT Headset also gives you great sound from music players, GPS and other Bluetooth-enabled devices.